Home / Toddler / Potty Training / Common Potty Training Errors and How To Avoid Them. Common Potty Training Errors and How To Avoid Them. Potty training is not an easy task (at least for first timer), it requires commitment of the parent and readiness of the kid. Even when everything is done right; when you have the right training gear, luxury of time and any other thing you might possibly think of, there is still tendency that something would go wrong at a particular point in time. This article is about common potty training error that parents commit, and how you can avoid these errors when potty training your child. One of the most common error as far as potty training is concerned is commencement of the training when the child is not yet ready. I have written extensively on how to know when your kid is ready in my ultimate potty training guide, so I won’t write about it here. However, it should be noted, then when potty training starts too early, and the child is not prepared or ready for it, then it would take longer than normal to get the training right. When this happens, just know that it’s not the child’s fault but rather your own impatience. Starting potty training too early mount pressure on the kids. Because you’re pushing them, you want them to get it right the first time, you just want everything to work out well very fast. Sorry! It doesn’t work like that. Another thing that doesn’t work the way most parent think is the amount of time required to potty train a child. Most parents are guilt of over expectation. That’s why you see them adopting the 1 day or 3 days potty training method. Seriously? 1-day potty training method? This is a gross misunderstanding of the fundamentals of what potty training entails. You simply can’t learn it in a day. So stop expecting so much from the young lad within a very short time frame. Be realistic with your expectation and set the potty training target as appropriate, and before you know it, the child will get there in no time. They say proper preparation prevents poor performance. Now, there is no much preparation on the part of the child. Once they show signs that they’re ready and are willing to learn, they’ve done their own part, and it becomes the responsibility of the parent to plan appropriately. The error from planning comes from inadequate knowledge about the whole process. Parents should educate themselves about the processes and how the entire potty training program works. Planning also involved making decision as to who will be in-charge of the training; the mother or the father or a care-giver. What the potty training schedule would look like, the proposed duration of training and the appropriate potty training gear. All these little information may seem pretty insignificant, but when they’re factored together, it goes a long way in determining the success of the potty training. Most parents would prefer to potty train their kids before the school calendar begins. As a matter of fact, in most states they don’t accept kids with diapers. Unless they have a potty training program as well. But normally, the timing should be done in such a way that it would be suitable for both the kid and the trainer. Holiday season is much more appropriate as there is enough time for both parties to learn and enjoy the entire process. Potty chair or potty training seat? This is another room for error as far as potty training is concerned. Not choosing the right item for the training might affect the kid learning curve. 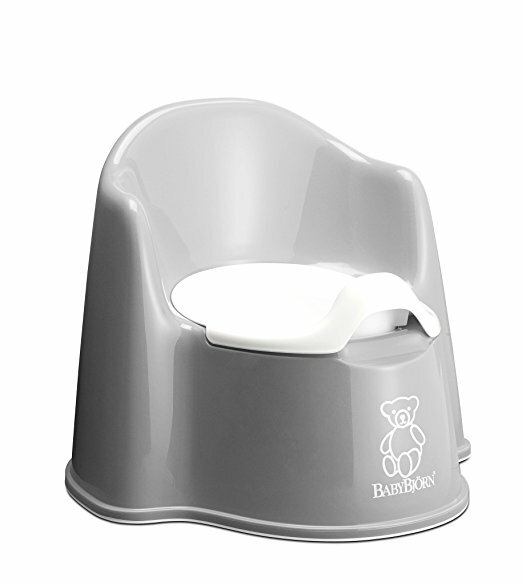 Generally, older kids 3+ of age do well with potty training seat, while younger kids, would do well with potty chair. I also covered this in the ultimate potty training guide. You choice of method goes a long way in determining the success of the potty training. We are strictly against the 3 days potty training method, you can read why here. Read the potty training guide for further understanding on training method that works best.